Without proper care and maintenance, rugs, carpets, upholstery, and drapes can lose their value and appearance because of damage over time in the form of holes, worn or missing fringes, damage from moths, or torn seams. Do your home furnishings need repair and renovation? The experts at Rug Renovating Co. can help. 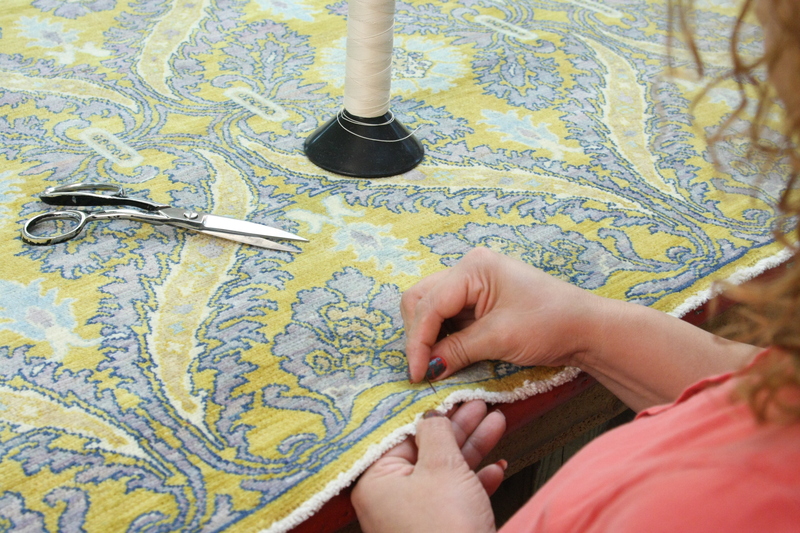 We offer repair services for carpets, rugs, furniture, and drapes, and our certified technicians take pride in restoring your furnishings to their original look and beauty. We have been serving customers in New York City and the surrounding areas including Connecticut and New Jersey since 1896. What is Rug Renovating Co.’s expertise? Master Craftspeople – Rug, carpet, upholstery, and fabric repairs are performed by highly qualified, certified repair specialists. Their goal is to repair and renovate your rugs and home furnishings to as close to original condition as possible. Full range of rug and carpet repair services – Our carpet repair specialists reweave holes, restore moth damage, repair or replace fringe, renap worn areas, repair seams, rewrap binding, and more. 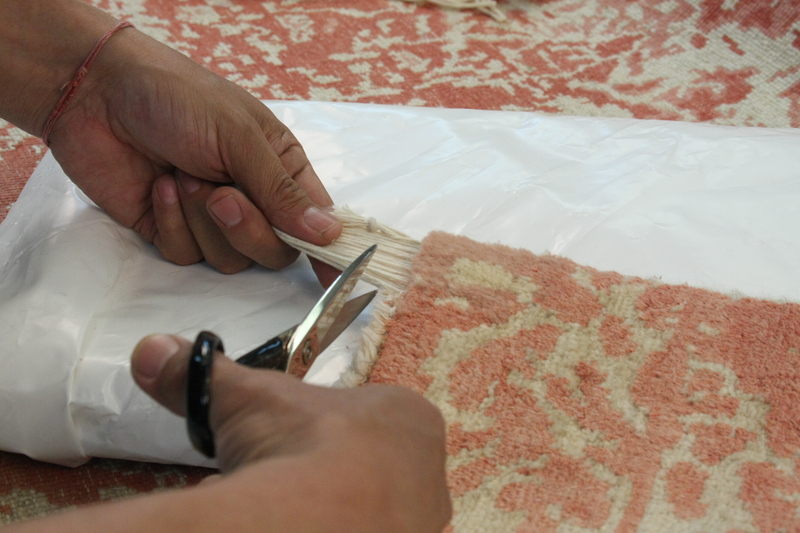 Our master craftsmen repair your rugs with the utmost care. We handle any material and style of rug, including: silk, wool, Oriental, Persian, Navajo, sisal, Berber, braided, handmade, custom made, Chinese, Indian, Turkish, Pakistani, Tibetan, and Nepalese. Carpet and rug restoration – Fragile or antique rugs and carpets require specialized handling during cleaning and repair. 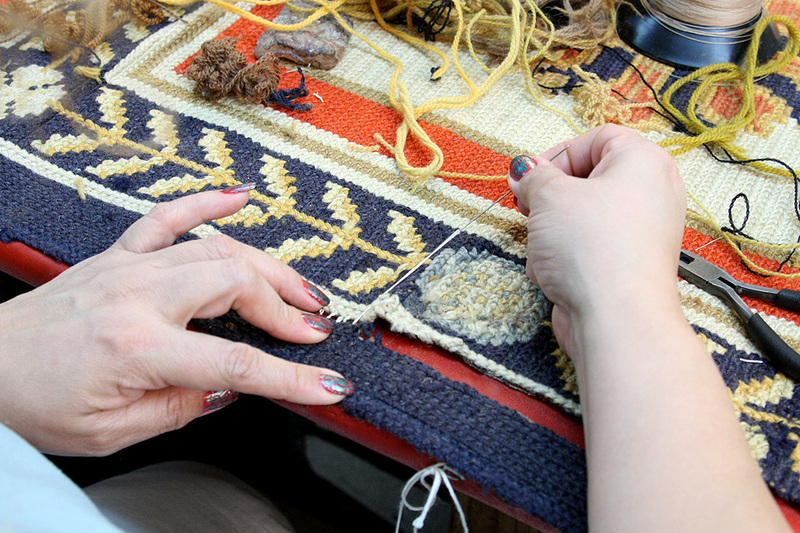 Our professionals ensure your valuable rugs receive proper handling and care throughout the rug restoration process. Rug blocking – Our professional rug-blocking carefully stretches and shapes your rugs. Our process makes your rugs flat again, and help you avoid a tripping hazard from a misshapen or wrinkled rug. Repair and finish custom-made rugs – Borders on custom-made rugs are subject to unraveling where binding was originally sewn along edges and on corners. We repair and/or alter these rugs to your specifications, including sewing on fabric or leather borders. Why should I call Rug Renovating Co. for rug and carpet repair services? Expert rug and carpet repair – Our company started in 1896. 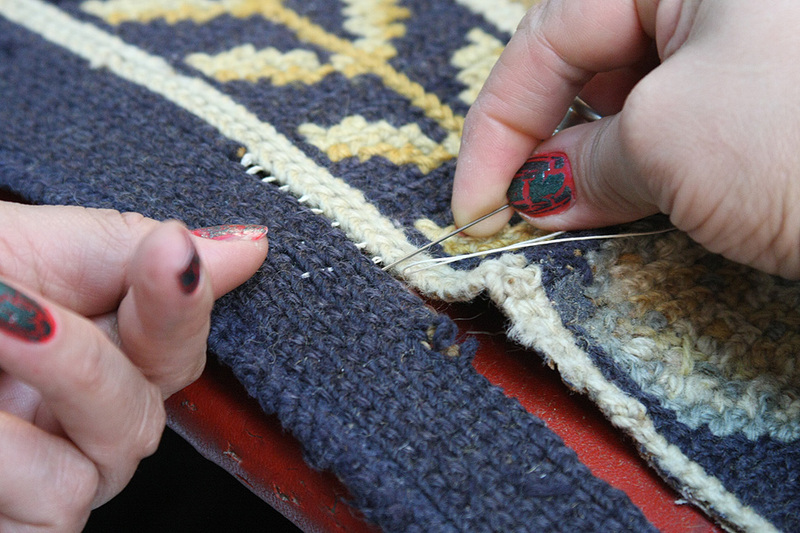 Since then, we’ve established expertise in all types of rug and carpet repair and restoration services. Our goal is to do everything possible to make your rugs look like new. With our hands-on approach and personalized service, we’ve earned the trust of over half a million residential and business customers. Certifications and expertise – Our expertise lies in the extent of our training and experience. Our rug-cleaning specialists are among the most highly trained in the country. We will gladly provide proof of all certifications, including our 3 Certified Rug Specialists (CRS), IICRC, RIA, New York Rug Cleaners Institute, National Institute of Rug Cleaning, Wool Care Specialist, and the Association of Rug Care Specialists. 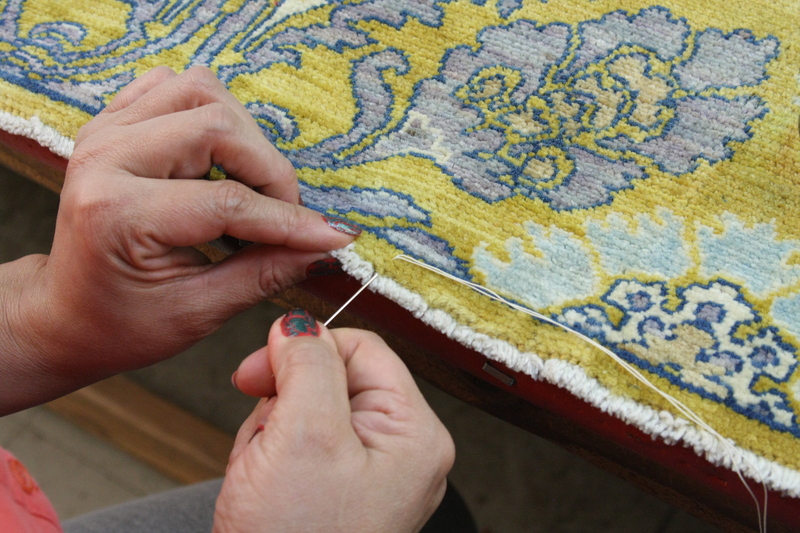 Trust your most intricate rug repair job to our master craftspeople – With pure attention and care to detail, our trained master craftspeople can reweave and patch holes, restore damage from moths, repair seams and re-nap areas that are worn, rewrap binding, replace fringes, and more. Guaranteed price quote – Experienced service consultants provide a firm price quote for our rug renovation services. We take into consideration rug type and size and any special repairs you need. Tips and insights – Count on us for the best tips and advice for properly caring for your rugs and carpets. We want your rugs to last a long time. Our insights are invaluable in helping you keep your rug clean, the colors vibrant, and the fibers strong. Wide local service area – We cover a wide geographic area in the New York-New Jersey-Connecticut region. Within our service area and at no extra charge, we will pick up your rug at your home for cleaning and renovation at our facility, and then deliver it back to you for final inspection back to your home. Nationwide coverage – If you live outside our service delivery and pick-up area, you can ship us your rug for servicing. We’ll first inspect it and provide a quote so you’ll know all the work to be done and the cost for services upfront. When done, we’ll ship your rug back at no additional charge. Call Rug Renovating Co. today. Our helpful customer service consultants are available to answer all of your rug, carpet, and upholstery and fabric repair questions.